Watering Can Press has experience working with amazing corporations, non-profit organizations, sports franchises, and community groups in utilizing our books as part of their brand outreach, marketing campaigns, and philanthropic efforts. Customizing the books with your brand identity and/or important messages creates a perfect tool to connect to the family market. 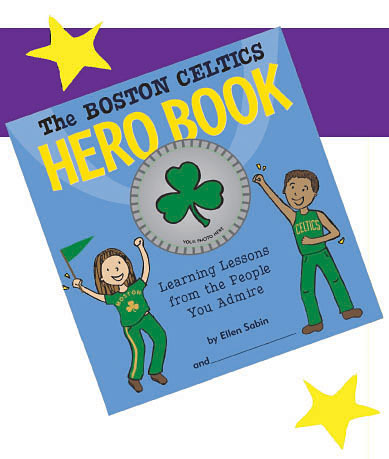 Our books’ powerful character building lessons and interactive journal/scrapbook format make them keepsake items that will stay in the hearts and homes of their recipients for years to come. We can custom print an order of any of our books with your information printed in a prime location in the book. We can incorporate your organization and your messages into the content of the book for a fully customized and integrated product. We also create original books that communicate messages and topics important to your business while following the proven and valued methodology of our character-building and award-winning books. Ask us for case studies and best practices among our wide array of stellar clients! Click here to view sample of a customized book online. Click here to download sample customized book description to print (1 MB PDF). Learn more about our corporate programs and how organizations are using our books to support their cause-related marketing, community relations, and philanthropic programs. Watering Can books have been recommended by leading parenting publications and news organizations and have been praised by children, parents, teachers and community leaders across the country. Contact us by email, or call 212-243-3727 to find out how we can work with you to align your organization and your efforts with our inspiring products.